If you would like to work one on one…here are a few options for you. If you feel you need something “custom made”, just call and request a consultation. WHAT DO YOUR CHAKRAS SHOW ME? Kathy Duffy, Reiki Master Teacher/ Energy Field Specialist/ Intuitive Chakras are part of the human energy field…the part of you that develops from birth (and even before) constantly downloading and processing your life experiences. Life experiences = chakra energy. The energy that moves in your chakras broadcasts throughout your physical, mental and emotional aspects influencing them in powerful ways. When there is a disruption in the flow within the chakra it has a very real effect on you. A chakra can be congested, overactive, under-active, weak, blocked, exhausted. Chronically unbalanced chakra system has long term effects. A disrupted chakra also affects your aura or energy field that surrounds and holds you. That can weaken you and leave you vulnerable to another’s energy. When your chakra system is balanced and flowing you will feel an immediate shift. If you maintain a free flowing chakra system you will discover the value of connected and vital energy in all aspects of your life. When I do an assessment of your chakra energy I tune into you and feel/sense/see your energies. I allow information to flow from that and let you know what I intuit. The information here can tell me how to advise you in achieving your goals, whether they are physical, mental or emotional changes you want to make or perhaps how to move forward. A Chakra Reading offers you insight and a means of understanding your own process. It can assist your self awareness and that is always a good thing! The next step after a reading is a deep Chakra and Aura Cleanse/Balance – either immediately following your reading/assessment; at a future time; or as a single therapeutic session. This can promote the freer flow of healthy energy and connect all your fields for optimum use as you heal and learn about yourself. I have been working with Chakra and Aura energy for 30 years. If you feel I can be of service to you please contact me for an appointment. 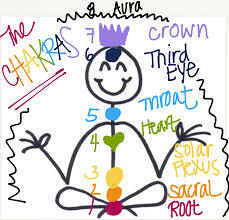 Deep Chakra and Aura Balancing – The chakras and aura respond very well to energetic clearing and balancing. There are techniques to reach deep into the energy of the chakras to ascertain and balance for optimum results. The aura surrounds and supports the entire energy field and therefore is sensitive to disturbance from outside as well as being affected by the state of your chakra energy. Having a thorough clearing and balance in these vital energy fields is supportive, healing and a means to get or keep you on track. This is a table session.